The team has been select­ed for the Nation­al Are­na League 2017 Round 3 to be held on Sat­ur­day 10th Decem­ber. If select­ed, please ensure you con­firm your avail­abil­i­ty to Craig Robinson. We are cur­rent­ly look­ing for vol­un­teer announc­ers for meets at the John Charles Cen­tre. If you are inter­est­ed, please come down to club night and speak to Vic­ki Spencer, who will pro­vide more details. The team has been select­ed for the White Rose Junior League North­ern Final to be held on Sun­day 2 Octo­ber in Lin­colnshire. Please con­firm your avail­abil­i­ty to Craig Robin­son no lat­er than Mon­day 19 September. Well done to Sophie Hob­bah, Jes­si­ca Teale and Tia Ward, who col­lec­tive­ly claimed 8 medals for the Eng­land Pro­grammes team in Lig­nano Sab­bidadoro, Italy. Not con­tent with a fan­tas­tic Olympic Tri­als, the team trav­elled to Sheffield last week­end and brought home over 20 medals from the region­al championships. 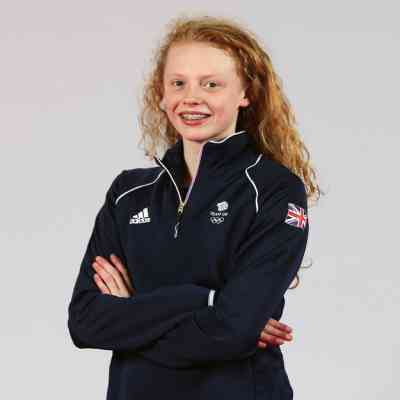 Con­grat­u­la­tions to Geor­gia Coates, who has been select­ed to rep­re­sent Team GB at this summer’s Olympic Games. Geor­gia is the youngest mem­ber of the 26-strong squad at just 17 years old. A huge well done to Geor­gia, and every­one at the club who has made this dream pos­si­ble. The hard work begins now! Con­grat­u­la­tions to Amelia Clynes, Cia­ra Schlosshan and Lay­la Black, who will rep­re­sent Team GB at this summer’s Euro­pean Junior Cham­pi­onships in Hungary. This will be Amelia’s third and Layla’s sec­ond Euro­pean Junior Cham­pi­onships, whilst Cia­ra will make her debut as a GB international. Well done girls. We are all extreme­ly proud of you. ASA North East are offer­ing Team Man­ag­er train­ing in Wether­by on 28 April. The train­ing costs just £15 and is an oppor­tu­ni­ty to do some­thing huge­ly reward­ing. More info in the fly­er and appli­ca­tion form below. Find out more about upcom­ing train­ing for both untrained and trained offi­cials and who to contact. The City of Leeds squad for the York­shire SA Team Cham­pi­onships 2016 can be found below. Swim­mers and par­ents are advised to check both pages of the PDF and iden­ti­fy the appro­pri­ate age group and ses­sion (AM or PM). Update (25 Jan 2016): Draft pro­gramme updated. Update (21 Jan 2016): Let­ter and rejec­tion lists updat­ed to reflect the decrease in rejec­tions and that all 50m entries have now been accepted. Update (20 Jan 2016): Added draft pro­gramme and rejec­tion list below. The club have received the fol­low­ing let­ter regard­ing changes that have had to be made to this year’s York­shire Cham­pi­onships because of the move to age at 31st Decem­ber. We would advise that all entrants to the afore­men­tioned com­pe­ti­tion read the letter.